Featuring the same popular accent style as the Chesterfield CertaGrain vinyl fence with a Concave Accent, this new vinyl gate also features a victorian accent at the top. 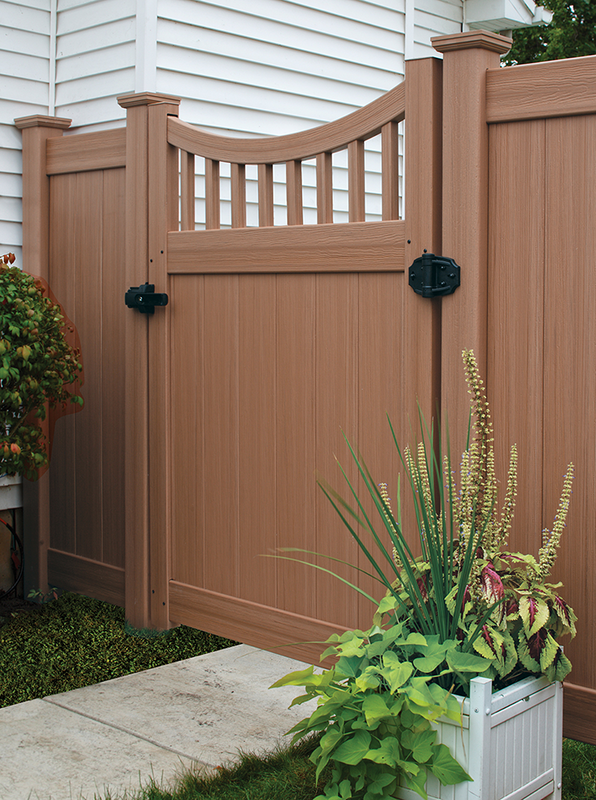 Make the entry way through your fence really stand out with this beautiful gate. 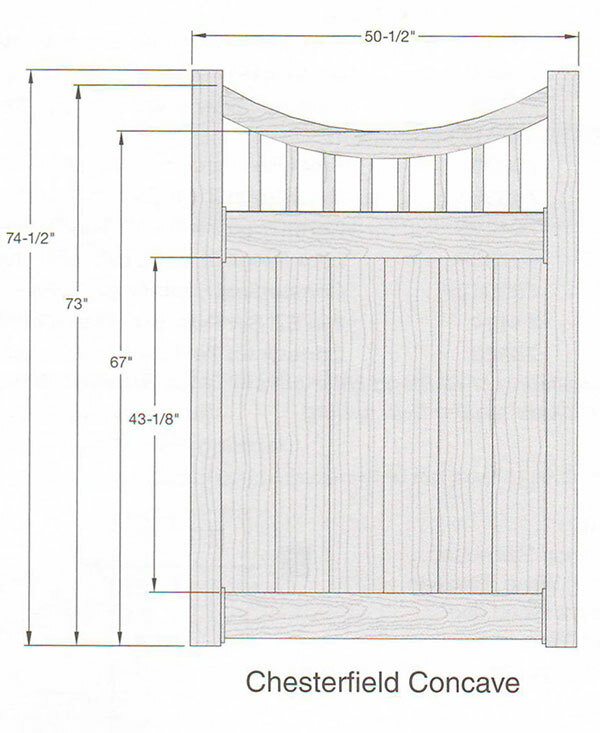 These gates ship fully assembled and are incredibly easy to install.